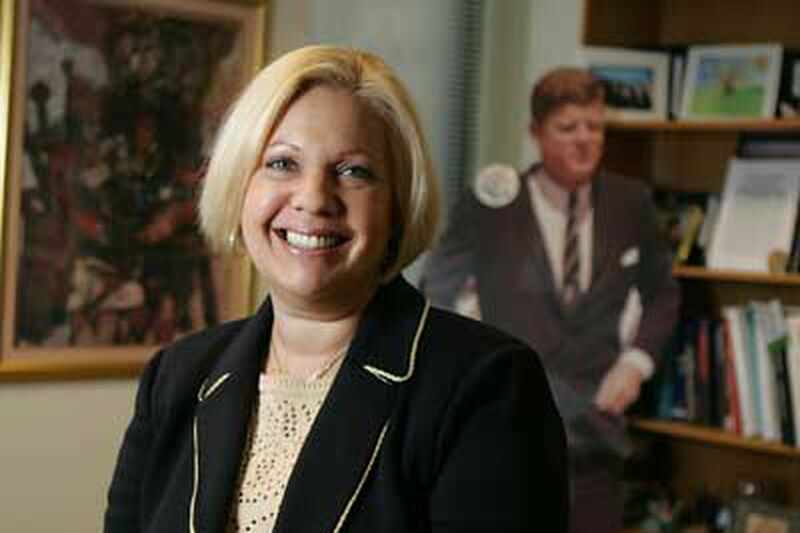 Sayde J. Ladov, a trial lawyer from the Bronx who now makes her home in Northern Liberties, will make her inaugural address as incoming chancellor of the Philadelphia Bar Association at its annual luncheon meeting today amid anxiety about the recession and questions by some lawyers about the relevance of the association to their professional lives. Ladov, 53, says she's optimistic the profession will weather the financial crisis, and even thrive as federal spending on banks and other financial institutions begins to filter through the economy. Of the bar association, she says membership is up in large measure because of its advocacy for the profession and networking opportunities for lawyers that cannot be found anywhere else. Question: You are going to take over as chancellor on Jan. 1. Why should anyone care about that, and why should anyone care about the bar association? Answer: Let's take Sayde Ladov out of the mix for the moment and talk about the association itself. It is a mechanism by which lawyers in this city come together, and interact, and most importantly provide services to the community. You serve the profession by providing continuing legal education, you serve the profession by networking, and we serve the profession by looking after not only the economic interest of lawyers but of others. Q: What you hear from some lawyers is that the bar association is not terribly relevant to practices or firms that have a national or even international scope. What is your response to that? A: I'm hearing that less and less. But my comeback is that they need to be educated. The bar association is a phenomenal resource for lawyers in large firms. While big firms might provide continuing legal education, what they cannot provide are the networking opportunities. How is a lawyer from a large firm going to build their own book of business and not for the rest of their lives serve someone else's clients? Let them come down to the bar association and meet with lawyers who do the same work. They might very well have work they can farm out. Q: What are the main challenges facing the bar association? A: There are always things that need to be tweaked. This bar association must stay ahead of the technology curve and the service curve, so we are always doing new stuff, and we are always finding new ways to serve our members. I have got to tell you I don't see it as an organization that needs to be fixed. Q: After you had your second child, after a long maternity leave during which you were in bed for many months, you returned to the office of the law firm that employed you at the time, and they said, "We're sorry, but you have been replaced." How did you recover from that? A: I was angry and felt abused, and I felt that someone had really taken advantage of me. I had been working from home and had gone religiously to a doctor for examinations every week, and when I would leave the doctor's office, I would go to the law firm and drop off what I had been working on and pick up a batch of new stuff. So I really felt that I was doing the best that I could. Take a walk back in time, and remember that this was Philadelphia and the U.S. in 1989, and the protections we had then are not the protections we have today. I could have filed a lawsuit, but you know what a small town Philadelphia can be - and I don't mean that in a negative way - where 20 percent of the people do 80 percent of the work. Everybody talks. My choice was to file a lawsuit and, as I am fond of saying, never eat lunch at the Palm again, or simply shake it off and move on. So I moved on. A: We [with her husband, David] like to travel. We like to gamble. Did I really say that? We take advantage of the Philadelphia theater as often as we can. We like to go to the beach in Margate with the rest of the lawyers, the trial lawyers, my crowd of lawyers. Q: You say you have a Labrador. Do you take him hunting? A: No, no, no (laughing). Jewish girls from the Bronx do not go hunting. Personal: Husband David Ladov, a matrimonial lawyer at Cozen O'Connor; daughters Hillary, 22, and Lauren, 19; dog Mr. Bear, "a love bug." Contact staff writer Chris Mondics at 215 854 5957 or cmondics@phillynews.com.